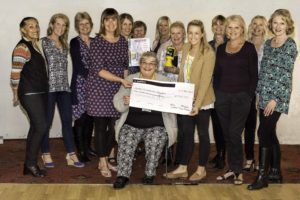 Dorset Sole Sisters launched a club challenge for 2017; this included a different challenge each month along with the challenge of 500 miles to be run over the year. Our chosen charity for 2017 was for The DCH Cancer Charity Appeal. Well done to everyone who took part and helped to raise £180.00 for this incredible charity. Dorset Sole Sisters challenge for 2016 was a virtual run. We ran the South West Coast path, all 630 miles from Minehead to Poole around the coasts of Somerset, Devon, Cornwall and Dorset. Those who took part in this virtual run/walk paid an entry fee and raised £384.00 for our chosen charity for 2016 Gully’s Place. Dorset Sole Sisters were able to run (or walk) their miles anywhere, but we hope that everyone ran a bit of the coastal path for real as well as completing the virtual challenge. Well done to all of those who completed the challenge. Gully’s Place is a Support Group for bereaved families in hospital at home and beyond. A new room for children’s end-of-life care has opened at Dorset County Hospital. Fundraising continues to provide support for a bereaved parent support group and staff training. Run for Fun was the Dorset Sole Sister challenge for 2015. 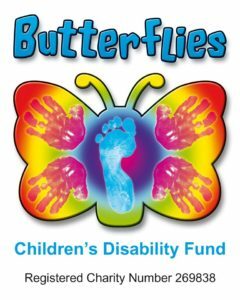 Raising £180 for Butterflies Children’s Disability Fund. Runners complete a minimum of four challenges each month and ran at least 400 miles. The fun challenges included running in fancy dress, run on your birthday, run with a dunk to name a few. 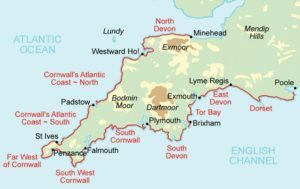 At the beginning of the year 28 Dorset Sole Sisters signed up to run or walk the distance from John O Groats to Lands End (JOGLE) as the crow flies during 2014. A total of 605 miles, just over 50 miles a month,this has also helped us to raise an impressive £280 for Dorset and Somerset Air Ambulance. During the summer months Dorset Sole Sisters take advantage of the light evenings and introduce our favourite cross country runs into our run programme. The summer run weekly members fees for May, June & July 2014 raised £68.50 for Project Zoe.